A water-based clear coating specifically designed for curing freshly placed concrete and sealing all types of cement based surfaces. Quickly penetrates and seals concrete surfaces to repel water and protect against surface contamination from oils, acids, chemicals, greases and salt. 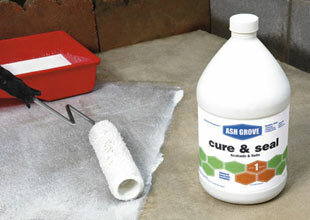 Simultaneously works to promote proper curing by retaining moisture in freshly placed concrete, eliminating the need for water curing. Prevents premature drying in warm, dry or windy weather. 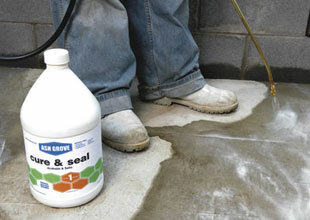 Proper curing and sealing is essential for long-term durability of concrete and cement-based surfaces.